A Gainesville couple who met in the U.S. Air Force will be buried together in Arlington National Cemetery today. Longtime Gainesville residents William and Jane Rockwood are set to be buried with full military honors by their four children. Jane Rockwood, 80, passed away in February after a battle with multiple myeloma, a cancer that affects plasma cells. Bill Rockwood died of diabetes in September 2002 at the age of 81. Both served in the U.S. Air Force and met while stationed overseas in the German city of Wiesbaden in 1952 and were married after the Korean War ended a year later. He served as a Colonel in World War II and the Korean War, she as a First Lieutenant and operating room nurse during the Korean War. "He spotted her at an opera house and sent over flowers," said their son, Frank Rockwood, who now lives in California. He said his father had long expressed the desire to be buried with other veterans in the sprawling Virginia cemetery. "It had always been his wish to be buried at Arlington," said daughter Hope Evans, of Jacksonville. When Bill Rockwood died, rather than having his body placed in Arlington, the Rockwood family decided to bury him at Gainesville's Forest Meadows, where he received full military honors and a 21-gun salute. "Mom wanted to be able to visit him," Evans said. When Jane Rockwood died early this year, the couple's children knew it was a fitting choice to have them both transferred to Arlington. It took a few months to plan out the logistics, Evans said, but the siblings recently found out Arlington has chosen to honor their mother with a full-service processional for her service during the Korean War. "We were so surprised and excited because we really didn't expect it," Evans said. A burial at Arlington is an exclusive honor reserved for honorably discharged service members who fit one of several categories. Those who died on active duty, veterans who have been awarded a military medal or award, former prisoners of war, and former commissioned officers are most commonly buried at Arlington. Evans said her father will be buried first, followed by her mother, in a service complete with a caisson, six horses, a military band and a 21-gun salute. Bill Rockwood headed the ROTC program at the University of Florida in the 1950s before leaving for military work abroad. "After traveling around the world, they decided Gainesville was where they wanted to retire," Frank Rockwood said. Having lived all over the United States and Europe, the Rockwoods made the permanent move back to Gainesville in 1968. 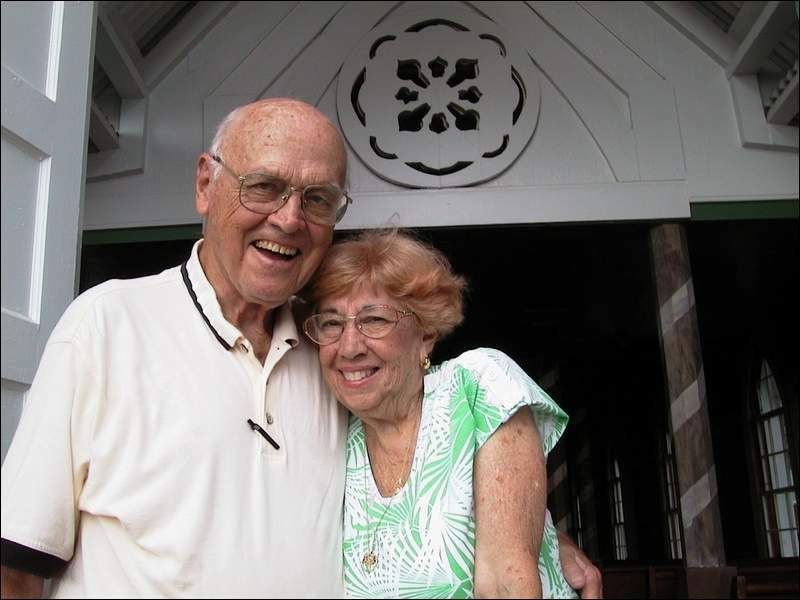 The couple was well known in town, as Bill Rockwood spent 1969 to 1981 working as an ambassador and continuing education director for UF's Office of the President. He spent the years leading up to his death working as a community actor, performing in plays at the Hippodrome, Florida Player's Club and the Gainesville Community Playhouse. In addition to being active in the Gainesville Garden Club, Jane Rockwood spent eight years working for UF's Student Health Care Center and also took on jobs performing physicals for a local insurance company and serving as night nurse at a General Electric factory, Evans said. Bill and Jane Rockwood had fond memories of their time in the service, said son Frank, and Jane Rockwood especially loved the years she spent as an operating room nurse during the Korean War. "They both loved being in the military. That was a phase of their lives they really enjoyed," Frank Rockwood said. "That was her favorite job, besides being a mom." Today's ceremonies serve as a poignant end to two impressive military careers and a marriage that lasted for more than 50 years.